I liked the book very much. I would highly recommend it to anybody trying to lose weight. Lots of useful tips and tricks. Kind of game-changing book. I could not focus on anything that she was saying. So monotoned. it was like listening to background music. I'm said I wasted money on this. I made it 3/4 into the first chapter. 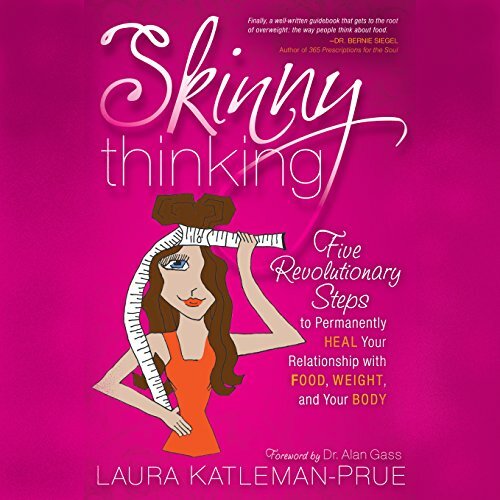 If you could sum up Skinny Thinking in three words, what would they be? It just makes sense! I have battled weight problems for so long, and this audio book gives me real hope I can life a fulfilling life, putting food back in its place. You really can beat food addiction. I'm very happy to listen to this audiobook and can't wait to listen again.